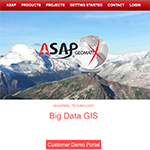 Local GIS/Mapping company website. Features a customer portal where clients can access there 3D visual data. 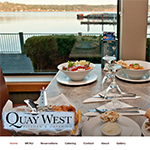 Professional Restaurant and Catering site. Easy to update by client. 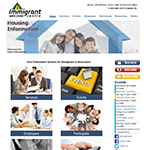 www.immigrantwelcome.ca (Joomla), Clean easy to use site for their clients. Also includes a blog and events calendar. 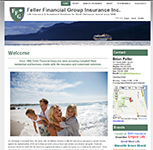 Professional Financial and Insurance site. Easy to update by client. 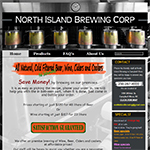 www.northislandbrewing.com (Joomla), New web site and business card, for a local Brewing company. Features a photo background with transparent overly and of course easy editing of content. 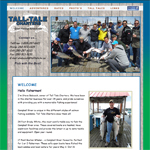 www.talltale.bc.ca (Joomla), New web site replacing their existing site, for a local fishing charter company. 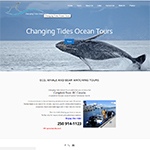 Features a scrolling slide show on top of the page and of course easy editing of content. www.bikesmith.ca (JQuery), simple inexpensive site done with CSS, HTML and JQuery, ranks first in Google Search.